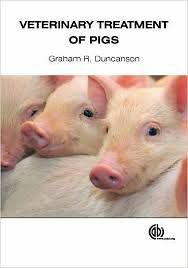 Written from a practitioner's viewpoint, this book covers the everyday veterinary care and treatment of pigs for the large animal veterinarian. Beginning with basic husbandry, maintenance and nutrition, the book then moves onto diagnosing conditions, the necessary equipment and medicines in a veterinarian's arsenal and different treatment options, before describing diseases by body system to create an easy-to-use, practical guide to pig treatment. Equally suitable for veterinarians, veterinary students and pig industry personnel, this book takes a worldwide approach with notifiable diseases as laid out by the OIE covered, as well as poisons and diseases beyond the UK and a full chapter on the dangers and control strategies of zoonotic diseases.